The National Gamekeepers Organisation or NGO plays an important role in the gamekeeping industry. For years now, this industry haS been painted in a bad light by people who do not understand the role that gamekeepers play in maintaining and caring for the British countryside. Admittedly, the profession tolerates shooting of animals for sport. However, there is a bigger picture behind this sport that makes it necessary for ensuring that the biodiversity in the countryside remains balanced and safe. The main purpose of the NGO is to make sure that the misconceptions about the industry and the profession will be eliminated. Not only that, the organisation ensures that gamekeepers themselves will not abuse their tasks and responsibilities. In 1997, a group of gamekeepers realised the magnitude of the public’s negative opinion about their profession. Because of their misunderstanding about the profession, the gamekeeping industry was almost threatened. This is why this group of gamekeepers decided to educate the public about this career. The National Gamekeepers Organisation aims to represent the gamekeepers in the UK so the misconception will not longer be a problem. It will not only protect the profession, it will also help keep gamekeepers in line. Instead of looking at erring gamekeepers, the public can look at the organisation for the best practices of the profession. Somehow, when there is a group regulating the members, abuse is minimised – if not eliminated. The NGO currently have 16,000 members comprised of gamekeepers and supporters. 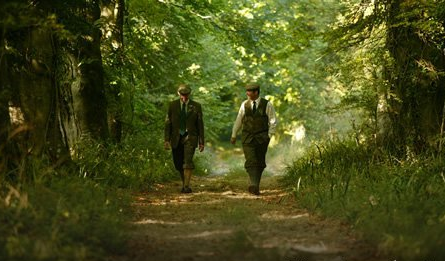 It is run by gamekeepers too – all of which are elected by the local NGO members. Each local organisation is led by an NGO Regional Chairman. Together, they form the National Committee. 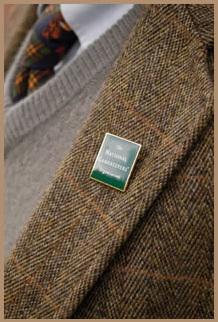 The National Gamekeepers Organisation have various roles. The first is to represent gamekeeping properly. They take it upon themselves to provide the right national representation to the public about the gamekeeping industry. In case there is someone from the outside that would like to know more about the profession and the industry, the organisation is the best place to go to first. Not only that, the group works hard to ensure that the public understands the importance of having gamekeepers in the British countryside. If there are any adverse publicity about the profession, the organisation works hard to counter that. The group is also there to assist their fellow gamekeepers. If they want to maintain a good public image and representation, the members should be kept in check at all times. That means providing gamekeepers with the adequate information that they need. They ensure that gamekeepers who need assistance will be given one. The group also ensures that the employers of gamekeepers uphold the rights of their employees and provide them with what they need to function effectively at work. In case legal assistance or insurance coverage is needed, the NGO also provides help. The National Gamekeepers Organisation also ensures that the profession only employs qualified and well-trained individuals. The group provides training and updates on new developments in the industry. Not only that, they come up with different codes to keep the members in check (e.g. Code of Good Shooting Practice, etc.) In case there is someone who is not in line, the NGO will step in and preserve the good image of the industry.